Pool School Gallery, a community interest company, has been awarded £45,400 by the National Lottery to work with the Cornwall Council Schools Art Collection. This important and culturally significant collection was created with the intention that children in Cornwall should have access to great art. Artists represented include Jacob Epstein, Barbara Hepworth, Alfred Wallis and Terry Frost. During 2018 Pool Academy students worked with artists to transform the school’s old caretakers’ bungalow into a new art gallery. 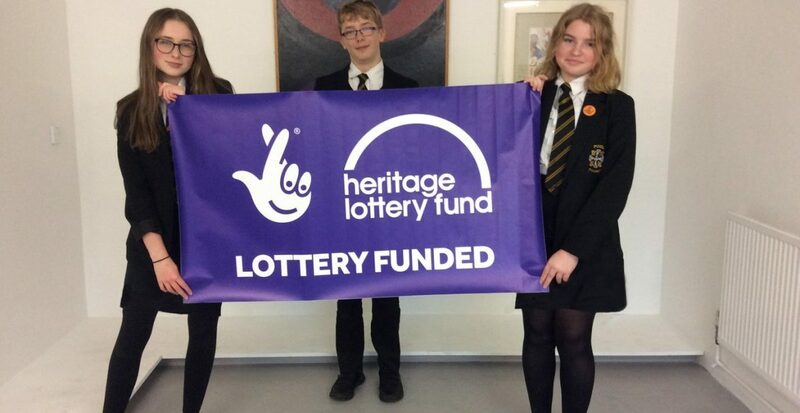 Thanks to National Lottery players, the grant from the Heritage Lottery Fund (HLF) will support an exciting project using the Cornwall Council Schools Art Collection. Students will research its history and create exhibitions and learning materials based around it. The project examines not what art means, but what art means to us. Students will be responsible for telling its story and they will help to shape and secure its future. The project is supported by Pool Academy, The Royal Cornwall Museum, Cornwall Museums Partnership and Cornwall Council. Ian Wall, Director of the Royal Cornwall Museum, says: This initiative, supported by the Heritage Lottery Fund, is a great example of partnerships coming together to nurture the creative talent of young people’. EB Year 7 says: I think it’s important to work with the Cornwall Council Schools Art Collection because it’s a great experience to go to the gallery, enjoy making things for it, and being able to come back and look at the work you’ve created and what you’ve achieved. I think that they (artists) are inspiring children to achieve what they want to achieve. Let’s say an artist showed some children his or her work, then the children might want to create something like that.